The Irish blessing "may the wind be at your back and may the sun shine on your face" applies to Green buildings as well. Passive Solar is probably the most welcome form of green energy. 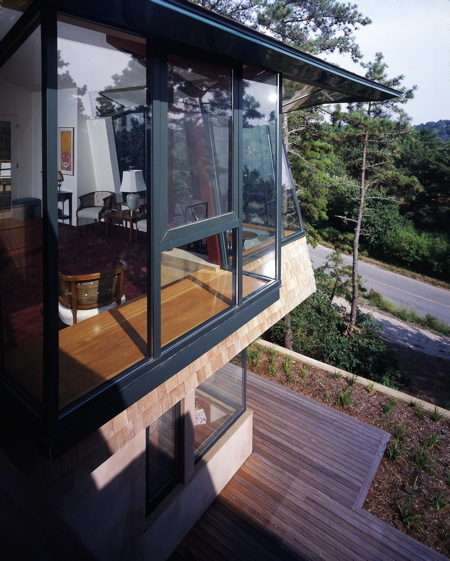 Two critical elements for success with passive solar are siting and design. 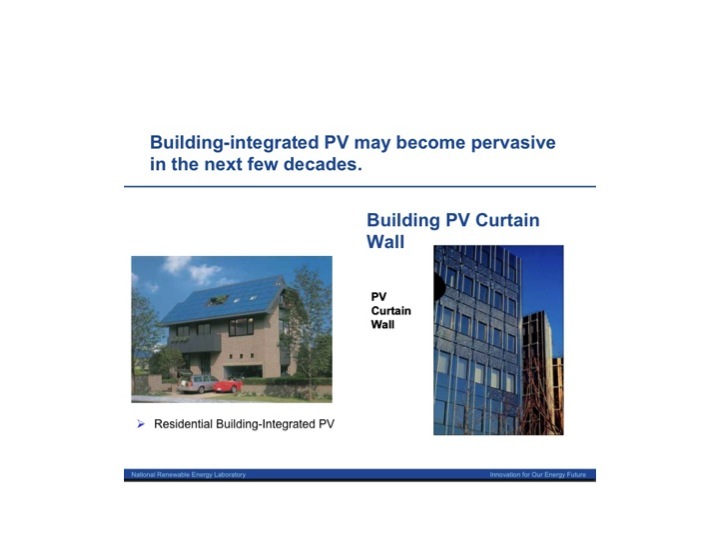 Buildings should be sited with access to sunlight and then designed to give sunlight access to the structure. This south facing corner is glazed to accept maximum sunlight. Heat is stored by a concrete "solar mass" under a dark red carpet. Inside the same building. 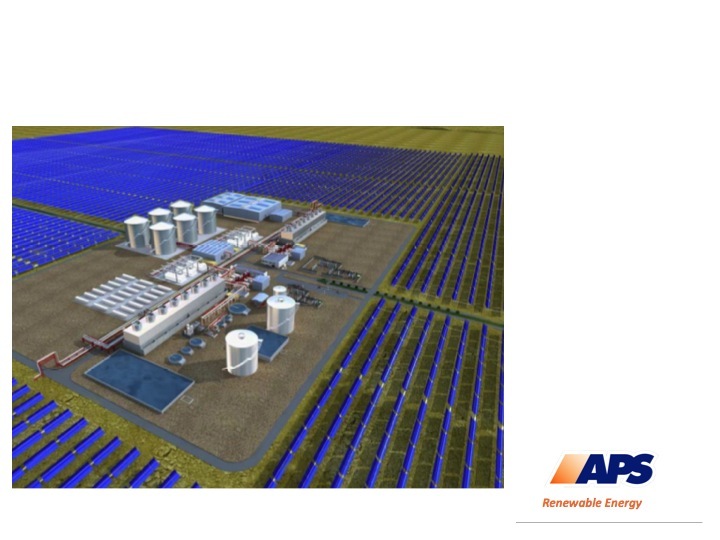 The concrete floor "solar mass" absorbs solar energy. 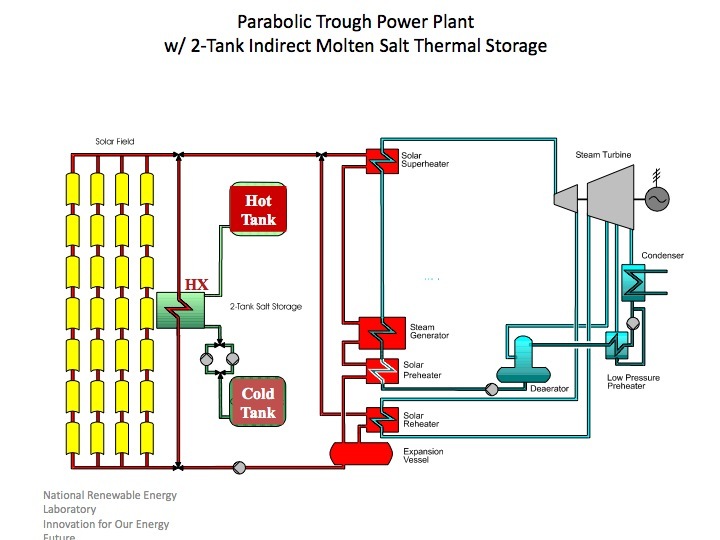 Connected living levels create a "solar chimney" for distribution of heat through circulation. This solar chimney incorporates access for sunlight, solar storage mass floors and circulation through connecting levels. Example of home design with overhang that avoids intense overhead summer sun while inviting in lower angle winter sun. 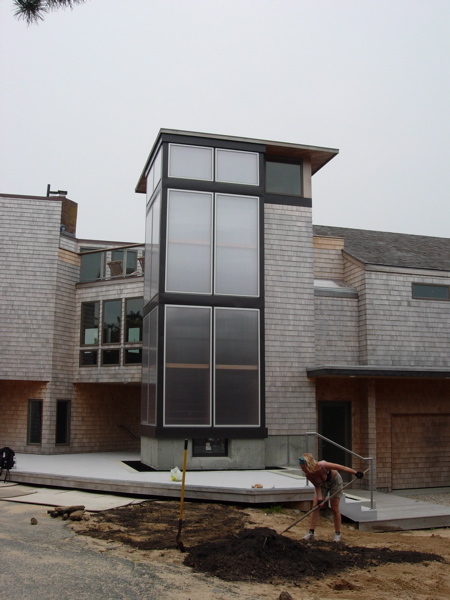 Thank you to Aline Architecture of Orleans, MA for designing passive green systems. - Avoid excessive fenestration on west facing walls, to prevent overheating. - Plan and carefully calculate overhang extensions. What works in one area of the country may not be appropriate in another. - Windows should be placed within 20% of south. - Approximately 15% of your floor area should be used to calculate window coverage.